This morning, I awoke and created a wonderful probiotic beverage for myself called kefir. It is a routine that I began when I started doing the Gut and Psychology Syndrome Diet and it has helped keep my digestion in check for quite awhile. Kefir is a cultured drink that is made from milk or coconut milk. I prefer to make mine from coconut milk because I often have it on hand more often, but it can be tasty either way. Kefir has a tart and refreshing flavor that is similar to yogurt. I like to mix a banana in with my kefir to sweeten it a bit. Kefir contains beneficial yeast and bacteria that help your gut digest foods. The naturally occurring bacteria and yeast in kefir will combine in a symbiotic manner to produce superior health benefits when you consume them regularly. Kefir is also filled with essential vitamins and minerals. It also contains easily digestible complete proteins. Many people who have lactose intolerance tend to avoid kefir because it is made from milk. However, it may be just the thing that you need to overcome your lactose intolerance. Kefir’s abundance of beneficial yeast and bacteria provide lactase, which is an enzyme that consumes most of the lactose left after the culturing process. I have read many accounts of lactose intolerant individuals who were able to tolerate kefir. WHY SHOULD I DRINK KEFIR? In this day and age where people have demonized bacteria and become self-proclaimed germophobes, you may be surprised to discover that many bacteria are not only helpful in promoting good health, but essential in assisting digestion. After a course of antibiotics, people often have difficulty with their digestion. We are seeing an upsurge in the number of people who are suffering from diseases like irritable bowel syndrome and Crohn’s Disease. Kefir is a cultured beverage that can help you reestablish the microbiome in your gut. It provides essential vitamins and nutrients for your brain to function better. Regular use of kefir will relieve intestinal distress and reduce flatulence. In addition, its cleansing effect on the whole body helps to establish a balanced inner ecosystem for optimum health and longevity. Kefir cleanses the intestines. Kefir contributes to a healthy immune system. It has been known to help patients suffering from AIDS, chronic fatigue syndrome, cancer and herpes. Kefir has been known to have a tranquilizing effect on the nervous system and benefitted many people who have suffered from depression, sleep disorders and ADHD, or attention deficit hyperactivity disorder. Kefir helps your body become more nourished and balanced, which in turn helps to eliminate unhealthy food cravings. Kefir’s excellent nutritional content promotes healing and helps to maintain health in people with almost every condition. Kefir starts with a base of milk. This can be any type of milk. You can use goat’s milk, cow’s milk, sheep’s milk, coconut milk, rice milk or even soy milk. The milk gives the bacteria something to consume. To the milk, you add what is called a kefir grain. Kefir grains are made from gelatinous white or yellow particles that contain live cultures of bacteria and yeast. 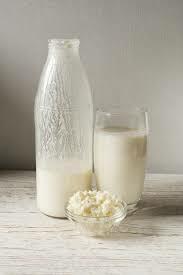 Kefir is unique in this aspect as no other milk culture forms a grain. Casein, or milk proteins, and complex sugars keep the grains together. A kefir grain will appear like a small cluster of cauliflower. The size can be as small as a grain of rice to the size of an acorn. Grains continue to grow as you use them. There have been some grains that have been grown in large sheets and become big enough to cover your hand! The grains are the essential part of culturing and fermenting the milk. They incorporate their friendly organisms to create the cultured product. Prior to drinking the kefir, the grains are removed with a strainer or a fork and then added to a new batch of milk. The grains are actually alive. You are creating a symbiotic relationship between yourself and bacteria. It is almost like keeping a pet alive. The kefir needs to be fed each day with new milk. However, unlike a pet, you can put kefir to sleep for awhile. If you are going on vacation or want a break from drinking kefir, simply place it in the refrigerator. This slows down the activity level of kefir. SHOULD I BUY IT OR MAKE IT? This is actually a personal preference. While it is extremely easy to make and very inexpensive, some people would prefer not to have fermenting products on their counter or in the cupboards. You will tend to lose out on some of the nutritional benefits if your kefir has gone through the bottling process, as heat tends to kill off some bacteria or yeasts. However, many people still enjoy store bought kefir and still see benefits from taking store bought kefir. It is a matter of convenience. Kefir is now easy to find at most grocery stores and even in some convenience stores. Kefir is a staple in health food stores with many carrying more than one brand of kefir. It is not difficult to find. It is often located in the dairy case, or in the store’s health food refrigerated section. I am trying to improve my health through diet and this article has been very helpful to me. I have a much better understanding of gut health now. I will be adding Kefir to my morning routine. It is so simple and can easily go in a morning smoothie! This is something I am going to tell my dad about and have on hand for him. He has Parkinson’s and gut issues is one of the problems that come with Parkinson’s. Helping this can relieve the symptoms or make them less. He is at a stage 4-5, so not doing the greatest. Anything I can do to help him will be a blessing. 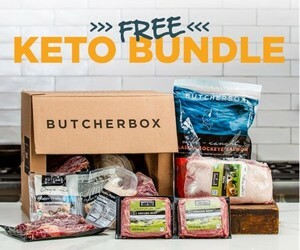 This combined with the ketogenic diet should help to alleviate neurological symptoms. I love what you said about Kifir being a naturally occurring bacteria and yeast combine in a symbiotic manner to produce superior health benefits when you consume them regularly.